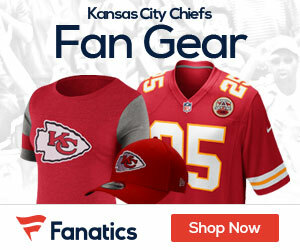 A locker-room clash between Chiefs running back Thomas Jones and first-round pick Jonathan Baldwin has left the rookie wideout uncertain for the remainder of the preseason with a wrist injury, a club source verified Friday to ESPN’s Adam Schefter. Baldwin, a daunting 6-foot-4, 230-pound wide receiver, was drafted 26th overall last April from Pittsburgh. Jones logged 245 hauls for 896 yards (3.7 avg), and six scores on the ground last season for the Tomahawks. Baldwin’s Prospects: Let’s hope the bout doesn’t hinder the former Panther’s progress, as the Chiefs can use Baldwin as their No. 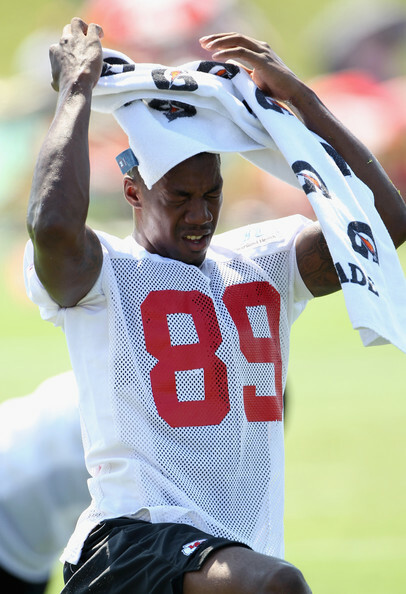 2 pass catcher alongside Dwayne Bowe. If the rook’s development comes slowly, then free-agent acquisition Steve Breaston will be counted upon to contribute more than just his typical role in the slot. If Jon can just tap into his potential during his first-year campaign, he can easily become a threat in the air attack, a la Chargers’ receiver Malcom Floyd. The height, jumping ability and big-play prowess is apparent for the Chiefs’ dynamic first-rounder. McCluster Watch: Speaking of dynamic, the explosive Dex had a decent showing against Baltimore on Friday night. Dazzling Dex tallied three snags for 47 yards, to go along with four corrals and 24 yards in the run department. Another weapon for Matt Cassel and coach Todd Haley to incorporate into the team’s game plan. I have a feeling we will see a lot of “trickeration” come Week 1 against the Bills. The aspirations of a top-notch offense will only go as far as Haley’s imagination. With Cassel comfortable under center, it’s time to unleash the playbook. Injured Offensive Lineman: Chiefs starting left tackle Branden Albert left Friday’s contest in the first half against the Ravens with a head injury. The significance and extent of the injury is yet to be determined.